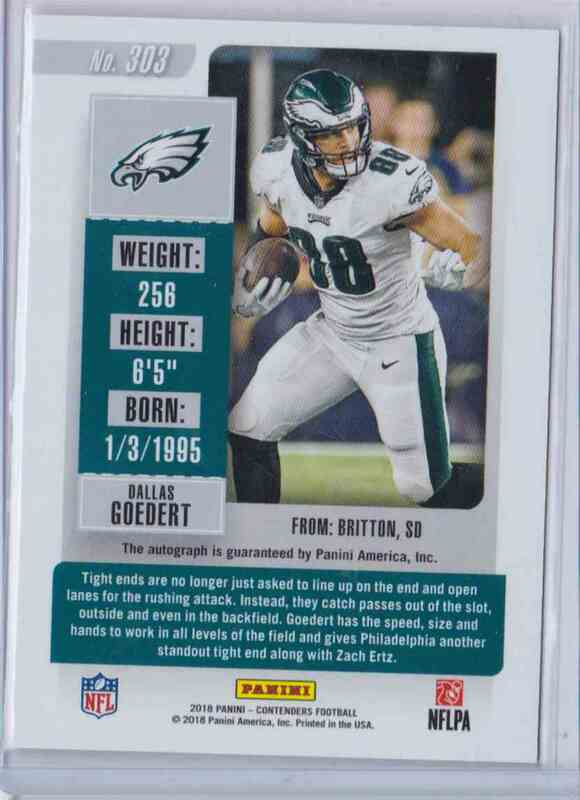 This is a rookie autographed Football trading card of Dallas Goedert, Eagles. 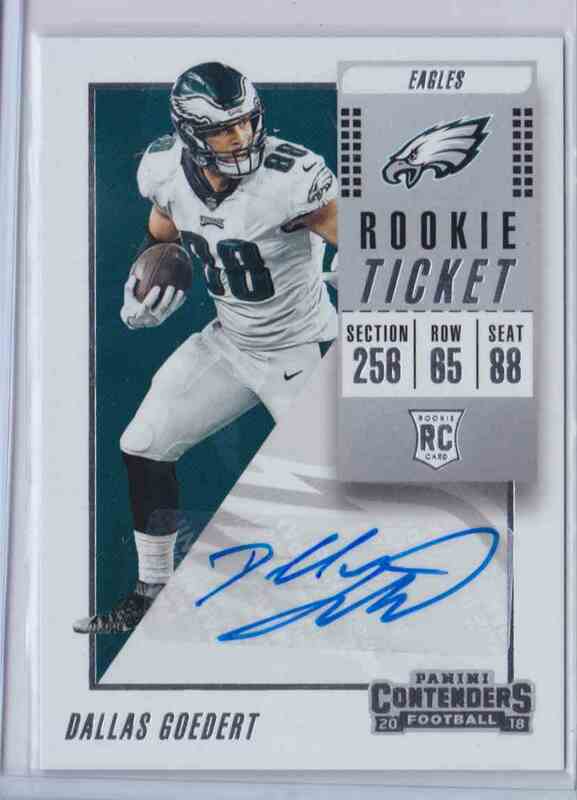 It comes from the 2018 Contenders Rookie Ticket Variation set, card number 303. It is for sale at a price of $ 11.00.